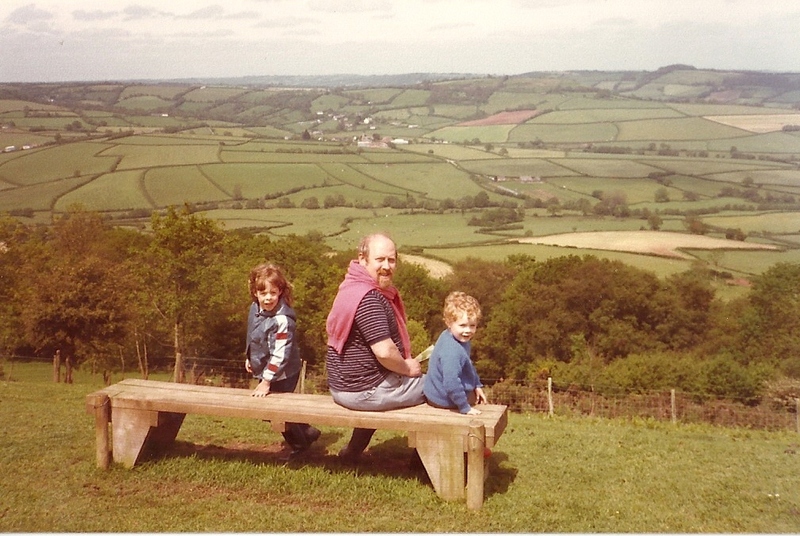 I am lucky to be old enough that we were allowed to roam around the countryside unaccompanied and nobody ever seemed to worry that we would be snatched away by evil do-ers. This, and growing up in a village surrounded by the Kentish countryside means that I have dozens of everyday happy memories. 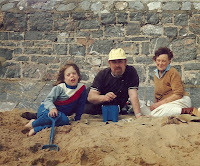 Summer holidays (six weeks or eight weeks) seemed to go on forever. I my mind it is always sunny. Either the local kids would wander off into the fields and woods to have an adventure, or we would just play in our adjoining gardens. My best friend's father was a house-master at the local public school, so she lived in an amazing house with an even better garden... the adventures we had under (and sometimes in) the spreading cypress tree. We were lucky too that my parents often arranged outings (with the dogs often) either in the local countryside, or further afield to Asdhdown Forest (where Winnnie-the-Pooh lived) or to beaches along the south coast. 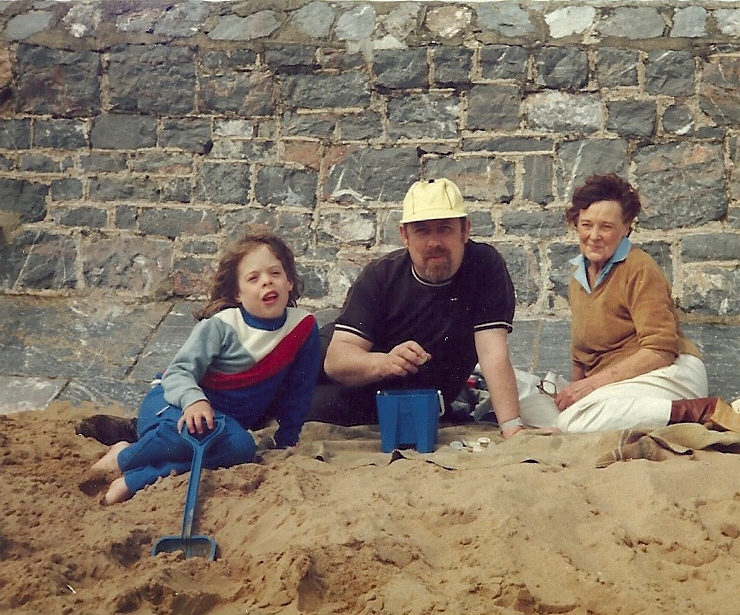 Family outings in the summer with my dad, little brother and gran. Pimms. It must be served just right with some (but not too much) fruit and a sprig of mint. A very English answer! Just sitting in the garden watching the local wildlife come and go and enjoying the peace. Even living in the city we're lucky that we have a big garden and don't hear the traffic noise that much. I don't really go away in the summer - the last thing that remotely counted as a summer trip was probably the rain and mud of Glastonbury 1997. Most people with MS find that their symptoms are exacerbated by heat and humidity.,. so for me anywhere with an air conditioner!! !